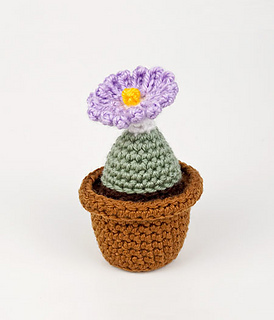 This pattern is available from planetjune.com for $8.50. 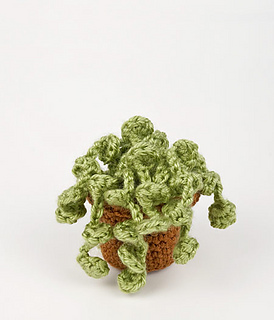 A crocheted succulent never needs watering, never dies, and is always in peak condition. 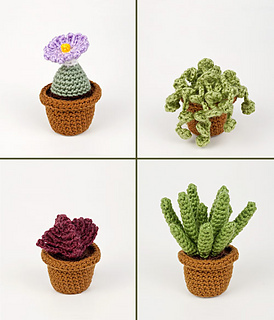 With this collection, you can make 4 different realistic succulents in individual pots, or a beautiful succulent garden arranged in one large crocheted pot. 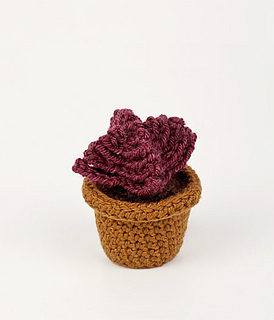 It’s the perfect thing to brighten up your window, or to give as an unusual and thoughtful gift. 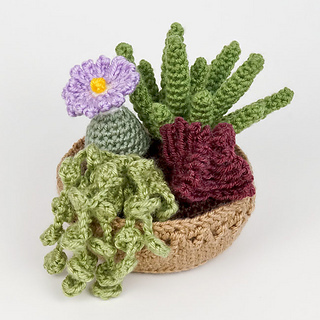 The larger succulent garden makes a beautiful decoration - and you’ll never have that problem where one of the collection dies and you’re left with a big empty space in the pot! 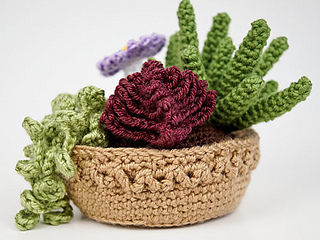 Details: pattern is 18 pages long and includes dozens of step-by-step photographs and explanations so you can crochet perfect succulents of your own. 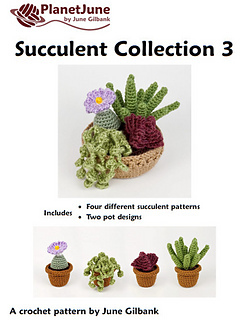 It also includes two appendices (for right- and left-handers) with a detailed step-by-step photo tutorial for the decorative textured zig-zag pattern on the large pot. 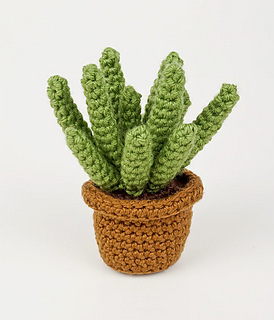 Yarn: worsted weight yarn in at least one shade of green (succulents), red (contrast colour), brown (soil), and any colour you like for the pot. 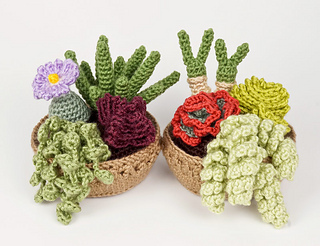 You can mix and match succulents to create your own perfect succulent garden - and take advantage of the huge savings when you buy Succulent Collections 3 & 4 together! 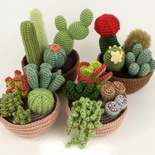 And/or you can mix and match the patterns with Cactus Collections 1 & 2 and Succulent Collections 1 & 2 to create your own custom garden.